In this episode, Mike Malcom of Tulsa's Holy Family Cathedral takes Steve on a behind-the-scenes tour of the cathedral and the on-going renovations. 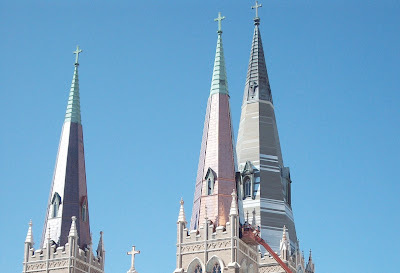 Learn more about Holy Family Cathedral by visiting their website or by viewing this video. Thanks for listening! Please send feedback by calling 918-919-0456 or by emailing us at ontheu [at] gmail.com.